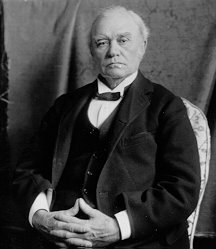 He became Canada’s first ever Prime Minister in 1867 with the Liberal-Conservative Party. The Dominion of Canada expanded during his first administration with the provinces of British Columbia, Prince Edward Island, and Manitoba. He was re-elected in 1872, which was to be his second administration. The building of the transcontinental is the most memorable event that happened during this administration. Macdonald’s government was forced to resign in Nov 1873 due to the “Pacific Scandal” but was re-elected in 1878 and remained Prime Minister until his death in 1891. Born on Jan. 28, 1822 near Dunkeld, Perthshire, Scotland. Elected to the Legislative Assembly of the Province of Canada in 1861. Mackenzie led the attack on the Macdonald administration over the “Pacific Scandal”; when Macdonald resigned on Nov. 5, 1873 and was the day Mackenzie became Prime Minister. In his five-year term he made a change in election laws, which included the secret ballot as well as universal male suffrage. 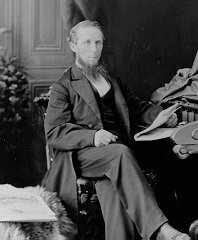 Mackenzie also established under his own rule, “The Supreme Court Of Canada” and brought Wilfrid Laurier into his cabinet. Canada had severe economic depression during Mackenzie’s 5-year term and on 1878, his liberal party was routed at the polls. Yet he retained his own seat until his death in Toronto on April 17, 1892. Born on March 12, 1821, at St. Andrews Lower Canada. In 1847 he was admitted to the bar. Died in Montreal on Oct. 30, 1893. He was the first Prime Minister to be born in Canada. He was elected to the Legislative Assembly of the Province of Canada in 1857 re-elected in 1861 and 1863. He was elected to the House of Commons in 1867, 1872 and 1874. On 1891, Abbot inherited the conservative leadership. 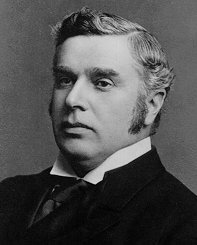 Abbot became Prime Minister on June 16, 1891 and resigned on Nov. 24, 1892. He later died in Montreal on Oct. 30, 1893. Born in Halifax, NS, on Nov. 10, 1845. Called to the Nova Scotia bar un 1865. Died on Dec. 12, 1894. In May 1882 he became Premier of Nova Scotia. Became Minister of Justice in 1885. Became Prime Minister on Dec. 5, 1892. He was Prime Minister for only two years but was highly responsible for the establishment of the Criminal Code and Penitentiary reforms. 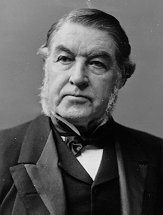 In 1894 he successfully negotiated fisheries clauses in the Treaty of Washington. He was still in office when he died on December 12, 1894. Born in Rickinghall, Suffolk, England, on Dec. 27, 1823. Died in Belleville, Ont., on Dec.10, 1917. He was 91 years old. Elected into The House of Commons in 1867 for Hastings North Ontario. He was re-elected in 1872, 1874, 1878, 1887 and 1891. Bowell was appointed to the Senate on Dec. 5, 1892 and, after Thompson’s death the governor general invited Bowell to form a government. Mackenzie had to deal with a rather difficult problem while he was in office. The Manitoba legislation had withdrawn school privileges from the Roman Catholic and French minority in that province. He was not equal to the political problems that faced him; he lost control of his ministers and several of them even called on him to resign. 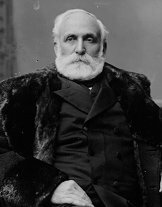 Mackenzie Bowell announced that his cabinet rebellion as a “nest of traitors”. He did however resign on April. 27,1896 and died in Belleville, Ont., on Dec.10, 1917. He was 91 years old. Born at Amherst, NS, on July 2, 1821. Died on Oct. 30 1915 at Bexley Heath, Kent, England. Elected to the Legislative Assembly Of Nova Scotia on Feb. 24, 1857. He was subsequently re-elected in a by-election that same year and was elected again in 1859 and 1863. Elected to the House of Commons in 1882 he resigned and was later on re-elected in 1887. On April 27, 1896 the Governor General invited Tupper to form a government, and on June 23, Tupper’s conservatives were defeated. But he stayed on as leader of the Opposition until Feb. 5, 1901 when he retired from the public life. He died on Oct. 30 1915 at Bexley Heath, Kent, England. Born at At-Lin, Canada East, on Nov. 20, 1841. Died on Feb. 17, 1919, in Ottawa. Elected to the Legislative Assembly of Quebec in 1871. Elected to the House of Common in 1874. He became leader of the Liberal Opposition and in the 1896 election he won with a 23-seat majority being the first ever French speaking Prime Minister on July 11, 1896. The Liberals retained the power in 1900 and won in a landslide election in 1904. 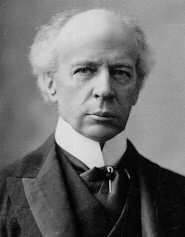 Wilfrid Laurier created the Provinces of Alberta and Saskatchewan as well as established the boundaries of Manitoba. Laurier also established that External Affairs Department in 1909. Laurier’s government had controversial support for the Canadian Navy, it was made fun of by people and many would call it “Tin Pot Cannons” yet later on it evolved into what you see of the Canadian Navy today. 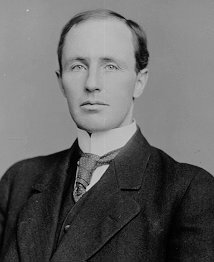 In 1911, Sept. 21 his party was defeated, but he remained an Opposition MP until his death on Feb. 17, 1919, in Ottawa. Born at Grand Pre, NS, on June 26, 1854. Admitted to the Nova Scotia bar in 1878. In Ottawa on June 10, 1937 Sir Robert Borden had died. Elected to the House of Commons in 1896 and 1900 and became leader of the Conservative party on Feb. 6, 1901. He was leader of the Opposition until 1911 when he led his Conservative Party to victory in the Sept. 21 election. 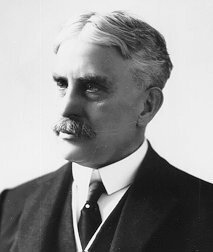 Borden was Prime Minister during World War 1 and his government was accused of supporting the Ross Rifle, which was being bought from the British. The Ross Rifle was known to jam during battle. Borden’s government introduced the first federal income tax to Canada and he nationalized the Canadian railways and conscription in 1917. He led his party to victory in the election of Dec. 17, 1917 and later resigned on July 10, 1920. Born at Anderson, Ont., on June 16, 1874. In 1902 he was called to the Manitoba bar. Died in Toronto Ont. on Aug. 5, 1960. He was elected to the House of Commons in 1908 then re-elected in 1911, 1913 and 1917, he was defeated in 1921 and again re-elected in 1922 and 1925. When Borden resigned on July 10, 1920, Meighen succeeded him as Prime Minister. In the general election of Dec. 6, 1921 Meighen’s conservatives were defeated. In 1926, Meighen was called by the Governor General to form a new ministry, it lasted for only three months when it was defeated by one vote. He resigned as a Conservative Leader in the House of Commons, and later he was appointed to the senate on Feb. 3, 1932. He became Government Leader in the Senate during Richard Bennett’s ministry. Following King’s victory in 1933, Meighen became Senate Opposition leader. Once again on Nov. 12, 1941 Arthur Meighen took the job as leader of the Conservative party, but he had failed in his bid to win a seat in the Commons in a federal by-election on Feb. 2, 1942. After his defeat he then retired from politics and died in Toronto on August 5, 1960. Born in Kitchener, Ont., on Dec. 17, 1874. Died at his country home in Kingsmere in July 1950. Elected to the House of Commons in 1908. He became leader of the Liberal party in 1919. On Dec. 6 1921, King became Prime Minister of Canada. Shortly after, in 1925, the Conservatives won a majority of seats defeating King. However, he still succeeded staying in office with the help of The Progressive and Labour parties, which supported King’s tariff reductions and old age pension and legislation. He carried on being Prime Minister with numerous elections to June 28, 1926; from September 25, 1926 to August 7, 1930; and from October 23, 1935 and to November 15, 1948, when he resigned because of his failing health. He did many things in his life in politics. He won a record of 184 seats for the Liberals in 1940. 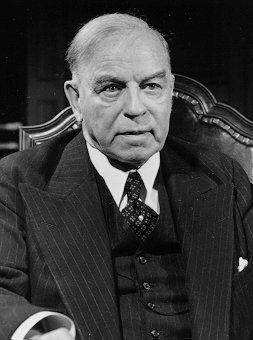 He was faced with a censure vote and a likely defeat in the Commons, Mackenzie King asked the Governor General by the name of Bying for dissolution but he refused. Bying called up Meighen (a conservative leader) to form a government. Meighen was not as popular and less people were following him therefore he was defeated within three months to King. King then went up against ensuing election on the constitutional issue. This became the claiming that the Governed General of Canada should take his instruction by no other than the Sovereign’s Canadian advisors. It was established and he resigned in 1948. He died at his country home in Kingsmere in July 1950. Born in Hopewell, NB, on July 3, 1870. In 1905 he was called to the Quebec bar. Died on June 27, 1947. In 1911 he was elected to the House of Commons. With leading the conservatives he became Prime Minister in the 1930 election after replacing Meighen in 1927. 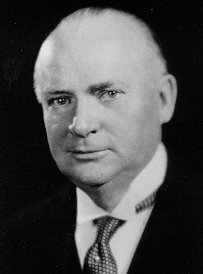 Richard Bedford Bennett was Prime Minister at the time of the Great Depression. Many of the things the he attempted to do turned out to be a failure. Unemployment skyrocketed when he was trying to decrease it. It was a political disaster. In 1935 Bennett announced that “The old order is gone” and he took a surprising step to the left and created a new system that included state-planned economy, new unemployment, health insurance legislation and old-age pension laws. Bennett’s Conservatives suffered a horrible defeat in the October 14, 1935 election with only 39 seats. He remained in opposition until 1937 when he retired in England. 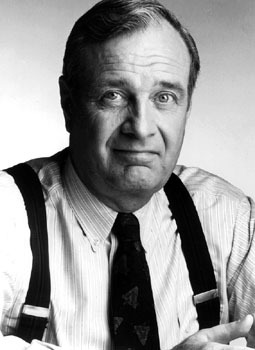 Though he had many rough times in his term he saw the creation of the “Canadian Radio Broadcasting Corporation” with later became the first television station for Canada, CBC. Sadly on June 27, 1947 he died. Born at Compton, Quebec, on February 1, 1882. Died on July 25, 1973. He was elected to the House of Commons on February 9, 1942 in a by-election. On August 2, 1946 his party offered a nomination to be King’s successor he accepted and he became Prime Minister on November 15. He did some huge things for the Canadian law such as making the Supreme Court of Canada the final Canadian court of appeal. In 1956 he won the acceptance of a new apportionment of taxes, he also made a negotiation with President Truman to build the St. Lawrence Seaway in the US-Canada agreement. He retired in 1958 and died on July 25, 1973. Born at Neustadt, Ontario, on September 18, 1895. Died on August 16, 1979 at Rockliffe Park Ottawa. He was finally elected to the House of Commons in 1940. He gained leadership on December 14, 1956 for the Progressive Conservative party. On June 10, 1957 he won the election narrowly for the Progressive Conservatives and officially became Prime Minister on June 21. In 1958 he called another election to hopefully get rid of his minority government and instead get a majority government. He successfully did that with a 208 out of 165 seat majority on March 31. In 1962 he accomplished a not so successful election as the last 1958 one, he only had 116 Progressive Conservatives seats. 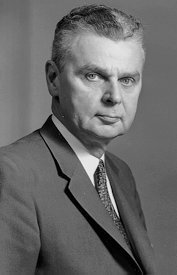 In the 1963 election it was a Liberal victory, which regulated Diefenbaker to the role of Opposition leader. Robert Stanfield later replaced him. Diefenbaker died on August 16, 1979 at Rockliffe Park Ottawa. Born at Newtonbrook, Ontario, on April 23, 1897. Died in Ottawa on December 27, 1972. 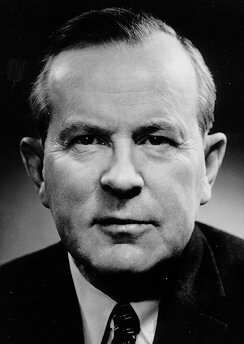 He became Canada’s Ambassador to the United Nations in 1945 and became minister of external affairs in September 1948. In 1956 following the Anglo-French-Israeli invasion Pearson helped keep peace by putting up a UN emergency Force that kept less violence for a decade from the Israeli-Egypt border. In 1957 Pearson won the Nobel Peace Prize for his settlement of Suez Crises. He was the first Canadian to be honoured. On January 15, 1958 he was chosen to be the leader of the Liberal party. Then on the general election of April 8, 1963 he and his Liberals won 129 seats in the House of Commons and he was leader of a minority government. In the 1965 election his Liberal party made very little some gains in seats but still short of a minority. In 1967 Pearson announced his resignation and was succeeded by Pierre Trudeau. In Pearson’s terms the old age pension was extended and a national health plan was created. He established the Royal Commission on Bilingualism and Biculturalism and also secured the national flag. He retired in 1968 and died in Ottawa on December 27, 1972. Born in Montreal on October 18, 1919. Died on September 28, 2000, at his home in Montreal. Called to the Quebec bar in 1943. He was first elected to the House in 1965 and he was chosen to be justice minister in Lester Pearson’s cabinet in 1967. In 1968 he won the Liberal leadership and he became Prime Minister on April 19, 1968. Then in the same year he called a general election and he and his Liberals won a solid majority. One of the biggest things Trudeau faced was the FLQ crisis. It was the kidnapping of the British diplomat James Cross and Quebec cabinet minister Pierre Laporte. Laporte was later murdered. This was by radical separatist organization also known as Front de Liberation du Quebec. This was upsetting for Pierre Trudeau so he invoked the War Measures Act in response, it was to give the state broad powers of arrest and detention. In the 1972 general election he returned to power with a minority government but he regained a majority in the general election of 1974. Trudeau narrowly lost to Joe Clark and his Progressive Conservatives, which were able to form a minority government. Trudeau announced that he was to retire, but later that year Joe Clark’s government collapsed and Trudeau and his Liberals once again won a majority government on February 18, 1980. Another major dent that he made in Canada was the constitutional reform that allowed Canada’s Parliament to amend the constitution without appeal to the British government. Trudeau also introduced a constitutionally entrenched Charter of Rights and Freedoms. National Energy Program (NEP) was introduced; this led to an outbreak of disputes between the federal government and the energy-producing provinces, mostly Alberta, which made a lot of Alberta residences mad. This was to increase the Canadian control of the oil industry, which helped self-sufficiency, and it generated more federal revenues. 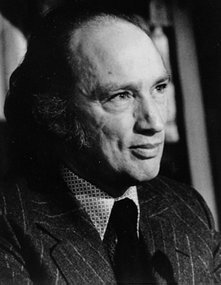 Pierre Trudeau resigned in June 1984 and died on September 28, 2000, at his home in Montreal. Born in High River, Alberta, on June 5, 1939. Elected to the House of Commons in 1972. He became leader of the Progressive Conservative party in 1976 and, in the general election of 1979, he was able to get the amount needed to form a minority government. He and his Conservatives dealt with the unresolved energy policy and Quebec separatism dispute. In 1979 his minority was defeated on a vote of non-confidence on its pro-post budget. 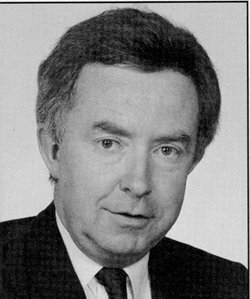 Joe Clark received only two thirds of the delegates in January 1983 during a national meeting of the Progressive Conservative party and called for a national party leadership convention. He lost the convention in 1983 to Brian Mulroney on the fourth ballot however, he remained an MP and, in 1984 when Mulroney became Prime Minister Clark joined the cabinet as secretary of state for external affairs. Many other things happened in his public life such as in 1991 he was appointed as minister responsible for constitutional affairs and he was given the job of prevailing where the Meech Lake Accord had failed. During 1991 and the first half of 1992 were marked by weeks of cross-country constitutional negotiations under the guidance of Joe Clark. In August 1992 the Charlotte town accord, which was an agreement to amend the Constitution Act of 1982, was all agreed and understood by every minister. The text of agreement was also presented to Canadians and on October 26, 1992 a national referendum was held on the issue of whether or not to approve of the deal. Joe Clark later retired from politics in 1993. However, he was chosen once again as Progressive Conservatives national leader in 1998. On September 11, 2000 he won a by-election in Kings-Hants, NS, and he won a seat in the Calgary Centre, Alberta in November 27, 2000 in the general election. He announced that he would not join the new Conservative party and he would not run for re-election in June 2004. Born at Richmond, Surrey, England, on June 7, 1929. Called to the bar in England in 1953 and the bar in Quebec in 1954. He was elected to the House of Commons in 1962 and, in 1965 he entered Pearson’s cabinet. He was candidate in the Liberal leadership in 1968 finishing third on the final ballot. Turner was appointed minister of justice in Pierre Trudeau’s Liberal cabinet in 1968. He became minister of finance in 1972 and in February 1976 he left politics. He led the Liberals to victory on June 30 1984 after Pierre Trudeau’s retirement the same year. However, he did not have a seat in the House of Commons himself. On July 9, he dissolved Parliament and was defeated in a landslide by the Progressive Conservative party in the general election. 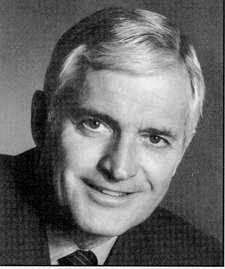 John Turner was leader of the Opposition and in doing so he used the Liberal majority in a senate to block passage of the Progressive conservatives’ free trade legislation and push the issue into an election in 1998. He failed, and in doing so the Progressive Conservatives won the election and formed another majority government. John Turner announced his plan to resign from leader of the Liberals and in June 1990, Jean Chretien succeeded him. Born at Baie Comeau, Quebec, On March 20, 1939. Called to the bar of Quebec in 1965. In 1976 Mulroney made and unsuccessful bid for the Progressive Conservatives party leader. However, he ran once again and defeated the incumbent leader, Joe Clark, on the fourth ballot in 1983. In a by-election for the Maritime riding in central Nova Scotia brought Brian Mulroney into Parliament as the leader of the Opposition. He led the Progressive Conservatives in victory in the general election of 1984 and at the same time winning 211 seats which was the largest amount of seats in Canadian history. 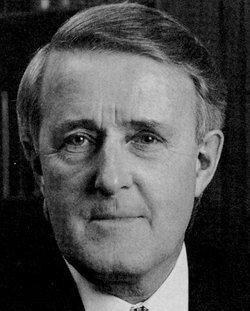 Between 1984 and 1988 Mulroney’s major initiatives were the Meech lake accord. Which was a package to end Quebec’s boycott of the 1982 constitutional reform and a free trade agreement with the Unites States. Mulroney won a second majority for his Progressive Conservatives in 1988. His Progressive Conservatives continued their free trade initiative and he also finalized NAFTA, which stood for North American free trade deal with the U.S. and Mexico. He announced that he were to retire on February 1993, and on June 25, 1993, Kim Campbell replaced him. Born on March 10, 1947, in Port Alberni. B.C. 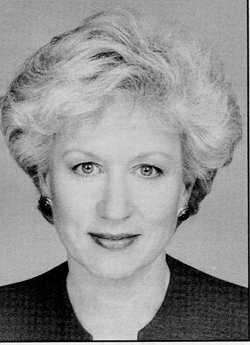 Kim Campbell ran in the provincial election and won a seat in the legislature in May 1986, representing Vancouver-Point Grey. She retired her seat to contest the federal riding of Vancouver Centre in October 1988. Kim Campbell joined Prime Minister Brian Mulroney’s cabinet with the Northern Development and the Indian affairs portfolio. Besides the success she had in politics, she also was recognized with the fact that she was the first female for many things such as first female minister of Justice and attorney general in 1990 and Canada’s first female defence minister in January 1993. She became candidate for the Progressive Conservatives leader contest in 1993 and, on June 13, she was elected leader on the second ballot and on June 25 she was sworn in as Canada’s first female Prime Minister. However, she was defeated inn the election of October 25, 1993 and she stepped down as a federal Progressive Conservative leader on December 13, 1993. Called to the bar of Quebec in 1958. Elected to the House of Commons in 1963 and he served in many other ministries such as the Parliamentary Secretary to the Prime Minister in 1965 and the Finance Minister in 1966 plus many others. In the 1984 Liberal leadership race Jean Chretien came second to John Turner. However, when Turner resigned as a Liberal leader in 1990 Chretien won the Liberal leadership. He also won a by-election in Beausejour and took his seat in the House of Commons as leader of Opposition. He successfully helped out his unorganized party and in the election of October 25, 1993 he led his Liberals to victory. His government dealt with the unemployment rate in 1993 and the Quebec separatists. The Liberals won only 20 seats in Quebec while the newly created Bloc Quebecois won the other 54. However, in the second referendum on October 30, 1995 on sovereignty the federalists won by a very narrow lead of the separatists. Chretien stressed international trade in the foreign policy subject. He led a well-publicized “Team Canada” missions around the world and represented the North American Free Trade Agreement also known as NAFTA which came into great power on January 1, 1994. Chretien also established with President Clinton a cordial relationship. On June 2, 1997 he led the Liberals to another electoral victory and in 1998 he took away the 25-year old deficit. He also sent Canadian troops at NATO’s war against the Serbs in the Balkans. He again led the Liberals into a majority in the election of November 27, 2000. Sadly one of the most horrible acts in the United States occurred during Chretien’s term on September 11, 2001. In response Chretien sent Canadian troops to Afghanistan to fight the terrorists there. However, Chretien decided not to invade Iraq in March 2003. Chretien stated in August 2002, that he would not seek a fourth term and on November 14, 2003 Paul Martin was elected leader in the Liberal convention. In December 11, 2003 Jean Chretien had his last day in the Prime Ministers office. Born in Windsor Ontario on August 28, 1938. Paul Martin was called to the bar in Ontario in 1966. He was a candidate for the federal Liberal party in 1988 and won a seat of LaSalle-Emard in Montreal. Then in 1990 he ran for leadership in the Liberal party contest where he came second to Jean Chretien. After the general election which was on October 25, 1993 (Liberals won) Paul Martin became Finance Minister on November 4, 1993. During his time as Finance Minister he put out five consecutive balanced budgets and also eliminated a $42 billion deficit. He ended his job as Finance Minister in June 2002. When Chretien retired in 2002, Paul Martin ran for and won the Liberal leadership taking up a large 93% of the vote on November 14, 2003. Again, the Liberals were re-elected in a general election on June 28, 2004. However, they only won 135 out of the 308 seats in the House of Commons. In response Paul Martin formed a minority government with the NDP, which was the first federal minority government since 1979. He is currently Prime Minister of Canada. -This was created by the help of the "Canadian Global Almanac 2005"